B) The Premium Membership levels shall be approved by the Athletic Booster Board in the spring each year. C) Premium Membership levels will be described on the membership form and are available to all those eligible for membership as described in Article III Section 1. D) There are no privileges given to Premium Members with respect to voting, office or stature within the Athletic Booster Club. The Athletic Booster Club Board, hereinafter referred to as the ‘Booster Board’ shall function as the Voting Members of the Athletic Booster Club. A) The Athletic Booster Club President shall be nominated from among the sitting Booster Board. B) The President shall be elected by majority vote using a ballot system. C) The President shall convene and conduct the Athletic Booster Club’s general meetings and the monthly working meetings required of the Booster Board. D) The President shall prepare and publish an agenda in advance of each meeting. E) The President shall neither make nor second any motion but he or she is entitled to vote, particularly in the event of a tie vote of the voting members present. F) The President coordinates with each coach to ensure that a Team Representative is selected. G) The President coordinates the work of the Booster Board and Committee Chairmen, and communicates with the JCCHS Athletic Director to manage the Booster Club’s business between meetings. H) The President shall serve as Chairman of the Executive Committee. A) The 1st Vice President (1st VP) shall be nominated from among the sitting Booster Board. B) The 1st VP shall be elected by a majority vote using a ballot system. C) In the absence of the President, the 1st VP shall perform the duties of the President. D) The 1st VP shall be the Chairman of the Sports Ad Book Committee. E) The 1st VP shall organize and keep up to date the Policies and Procedures Manual for the Sports Ad Book Program. A) The 2nd Vice President (2nd VP) shall be nominated from among the sitting Booster Board. B) The 2nd VP shall be elected by majority vote using a ballot system. C) The 2nd VP shall be the Chairman of the Membership Committee. D) The 2nd VP shall organize and keep up to date the Policies and Procedures Manual for the Membership Program. A) The Secretary shall be elected from among the membership of the Athletic Booster Club. B) The Secretary shall be elected by majority vote using a ballot system. C) The Secretary shall keep a good and honest record of any meeting of the Athletic Booster Club, the Booster Board and the Executive Committee. D) This record (The Minutes) shall capture attendance, votes, decisions, the President’s Report, the Athletic Director’s report, the Treasurer’s report, committee reports, budget requests and any other noteworthy items. E) The Secretary shall submit The Minutes of such meetings to the Booster Board no later than two (2) weeks following each meeting and present The Minutes for approval each month. (3) years and may be destroyed after such time upon the approval of the Executive Committee. G) The Secretary shall maintain a record of contact information (Roster) of and for Booster Board members. H) The Secretary reports directly to the President and shall coordinate, with the President, e-mail notices to the Booster Board and Booster Club Members and prepare and distribute a sign in sheet for each meeting. I) The Secretary shall be the Chairman of the Nominating Committee. A) The Treasurer shall be nominated from among the membership of the Athletic Booster Club. B) The Treasurer shall be elected by majority vote using the ballot system. C) The Treasurer shall maintain an accounting of all monies received and distributed by the Athletic Booster Club. D) The Treasurer receives and disburses funds in accordance with the Approved Budget and at the direction of the Booster Board. E) The Treasurer shall maintain all bank accounts associated with the Athletic Booster Club and submit a record of these accounts to the JCCHS Business Office on a monthly basis. F) The Treasurer reports on the financial status of the Athletic Booster Club at monthly meetings including account balances for the JCCHS general fund, bank account balances and income and expenditures which have occurred since the Booster Board last adjourned. G) The Treasurer is accountable to the JCCHS Business Office and must follow all policies and procedures accordingly. H) The Treasurer is the Chairman of the Athletic Booster Club Finance Committee. A) There shall be one (1) Team Representative to the Booster Board for each male and each female sport supported by JCCHS. B) All members of the Athletic Booster Club are eligible to serve as a Team Representative provided their student athlete is a member of that team. C) The Team Representative shall be selected by general agreement between the Booster Club members and the coach/coaches of the particular team they are chosen to represent. A) There shall be one (1) Middle School Boys Representative and one (1) Middle School Girls Representative to the Booster Board. B) The Middle School Representatives shall be chosen by the Middle School Athletic Director and shall be considered Voting Members of the Booster Board. C) The Middle School Representative’s responsibilities are the same as those listed in Section 6/D of Article IV. A) There shall be three (3) At Large Members who are drawn from the Athletic Booster Club membership. B) It is desirable that one (1) of these At Large Members be the Prior President. C) It is suggested that one (1) of these At Large Members be in charge of the Parking Program. A) The President, Principal, Athletic Director and the Assistant to the Athletic Director of John Carroll Catholic High School shall retain a permanent position on the Booster Board but shall not be considered voting members of the Athletic Booster Club. 1) Recommendations made by the Athletic Director of JCCHS shall be given elevated consideration in all matters. 2) The final arbiter in all cases will be the Principal of JCCHS. B) The Middle School Athletic Director shall retain a permanent position on the Booster Board but shall not be considered a voting member of the Athletic Booster Club. C) The President of the Toy Bowl program of the Diocese of Birmingham shall retain a permanent position on the Booster Board but shall not be considered a voting member of the Athletic Booster Club. A) The members of the Executive Committee shall be the President, the 1st and 2nd Vice Presidents, the Treasurer and the Secretary of the Athletic Booster Club. 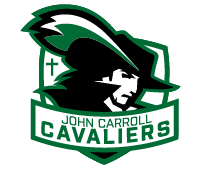 B) The Athletic Director and the Assistant to the Athletic Director of John Carroll Catholic High School and the Middle School Athletic Director shall be members of the Executive Committee. C) The Executive Committee shall meet prior to the monthly working meetings of the Booster Board and prior to any general meeting of the Athletic Booster Club to approve the agenda and review committee reports. D) The Executive Committee is responsible for making sure that any vacancy on the Booster Board is addressed. E) The Executive Committee along with the Finance Committee shall prepare a working budget during the month of June each year. F) The budget shall be presented to the Booster Board prior to the start of school and must be approved by a majority vote with a show of hands in accordance with Section 2 / E of Article VI. A) Working meetings shall be held monthly for members of the Booster Board. B) A General Meeting of the Athletic Booster Club shall be held during the first semester (Green and White) and again in the second semester. 1) All members of the Athletic Booster Club shall be notified well in advance (at least seven (7) days) of the General Meetings. C) Emergency Booster Board meetings may be called at the discretion of the Executive Committee. D) The Executive Committee shall meet monthly prior to Booster Board meetings. E) The Executive Committee along with the Finance Committee shall convene to prepare a working budget in the month of June each year. A) An agenda shall be made available to all members prior to General Meetings. B) An agenda shall be made available to Booster Board members prior to monthly working meetings. D) A quorum is necessary for any financial decisions to be made which are not already addressed in the approved budget. E) A quorum is necessary for any business which requires a vote of the Booster Board. F) In extreme cases, a vote requiring a quorum may be taken by electronic signature. G) The event of an extreme case is determined by the Athletic Director and the President of the Athletic Booster Club. each year to address any vacancies on the Booster Board. B) The Secretary of the Athletic Booster Club shall be the Chairman of the Nominating Committee. C) The Nominating Committee shall be comprised of the Committee Chairman and three (3) members sought from among the Team Representatives, the Middle School Representatives and/or the At Large members. D) The members of the Athletic Booster Club shall be made aware of the nomination process and will have the opportunity to make nominations in accordance with the eligibility requirements described in Article IV of the Bylaws. E) In early April, a Slate of Candidates will be made available to the members of the Athletic Booster Club and nominations may be taken from the membership until April 15th. F) At the May meeting of the Booster Board a Ballot shall be made available to the voting members and, as long as a quorum is present, the President will present the Ballot to the Board for a vote. G) If there are no vacancies on the Booster Board, the members of the Athletic Booster Club shall receive a notice of the Booster Board members and their remaining terms. H) In the event that a Booster Board position becomes vacant during the school year, the Executive Committee will have the responsibility to fill that position in accordance with Article IV of the Bylaws. I) The Candidate will be presented to the Booster Board and shall be considered a member of the Booster Board following a majority vote by ballot in accordance with Section 2/E of Article VI. A) All elected and appointed members of the Booster Board are to serve one (1) term in the same position beginning on June 1st and ending on May 31st each year. B) With the approval of the Athletic Director, Booster Board members may serve an additional term (consecutively) without the need for a vote. C) A Booster Board member may serve additional terms on the Booster Board in another capacity or in non-consecutive years in accordance with Article IV. A) The 1st Vice President shall be the Chairman of the Sports Ad Book Committee. B) All members of the Athletic Booster Club shall have the opportunity to volunteer for committee membership at the General Meeting and throughout the school year. C) The Ad Book Committee shall be responsible for planning and promoting the Sports Ad Book sales throughout the JCCHS Athletic program. D) The Ad Book Committee shall inform and organize the Team Representatives in regards to promoting the Ad Book program to the teams they represent. E) The Ad Book Committee Chairman will maintain a policies and procedures manual which will outline the structure of the Sports Ad Book program. A) The 2nd Vice President shall be the Chairman of the Membership Committee. C) The Membership Committee shall be responsible for evaluating Membership Levels and presenting plans for membership growth to the Booster Board in the spring of each year. D) The Membership Committee shall present the Membership Form to the Booster Board for approval in the spring each year. E) The Membership Committee shall be responsible for Green Seat sales and promotion. F) The Membership Committee shall be responsible for the development and distribution of the Membership Packets. A) The Treasurer is the Chairman of the Finance Committee. B) There shall be four (4) other members of the Finance Committee: the director of the JCCHS Business Office, the President of the Athletic Booster Club, the JCCHS Athletic Director and the Assistant to the Treasurer. C) The Assistant to the Treasurer should be chosen from among the Membership of the Athletic Booster Club and should be mutually agreed upon by the Finance Committee. E) The Finance Committee must adhere to Article IV / Section 5 of the Athletic Booster Club Bylaws. A) The Secretary of the Athletic Booster Club shall be the Chairman of the Nominating Committee. B) The Nominating Committee must adhere to Article VII / Section 1 of the Athletic Booster Club Bylaws. Club Bylaws under the direction of the Executive Committee as needed. B) Amendments must be presented to the Booster Board for consideration one (1) month prior to a vote. C) Amendments to the Bylaws require a vote by show of hands in accordance with Section 2 / E of Article VI. D) It will be the responsibility of the Secretary to make such adjustments to document and to distribute the full and newly revised Bylaws to the Booster Board. E) It will be the responsibility of the President of the Athletic Booster Club to make such Amendments known to the members of the Athletic Booster Club. A) A Bylaws Review will be made every three years. B) The Executive committee will assign three (3) members of the Booster Board under the direction of the President to review and evaluate the effectiveness of the Athletic Booster Club Bylaws. C) The Bylaws Review Committee shall make necessary changes and present them to the Booster Board one (1) month prior to a vote. D) The Booster Board shall determine if the suggested revisions are pertinent and helpful in furthering the cause of the Athletic Booster Club. E) The Revised Bylaws may be brought for a vote in accordance with Section 2 / E of Article VI and shall be adopted when a majority vote by ballot determines it to be so. F) It will be the responsibility of the President to make the newly revised Bylaws known to the members of the Athletic Booster Club.